“Notice Me Senpai” is a therapeutic VR experience that reacts to your hand gestures. With an animated sloth at its centerpiece, the experience revolves around the idea of being acknowledged and recognized. Using a Leap Motion sensor, the piece detects which of your fingers are extended and will have the sloth respond back accordingly. There’s something about seeing your hands in VR that adds a whole new level of immersion. Our hands act as an extension of ourselves, so the ability to interact with them in VR really tethers you to that virtual world. I started to think about the daily interactions with our hands in the physical world. How do we use them in social situations? What kind of gestures do we use to convey certain meanings? Are there any culture differences between them? These questions became the jumping point in creating my first Leap Motion experience. One of the biggest potentials of VR for me is what it can do for therapy. I wanted to design an experience that was not only inviting, but able to reduce stress in users. To achieve that, I wanted to create a character that was both friendly and approachable. Although it could have been anything, I chose a sloth because of how cute and unusual it was. There’s a little bit of an unexpectedness when someone finds themselves with a sloth, right?? How should one interact with it? How would a sloth respond back? I limited myself to three basic hand gestures: The thumbs up, the peace sign, and flipping the bird. These were simple and elementary gestures to anyone trying this for the first time. Tested the hand signs with an earlier model. With the help of my friend Sergio, we figured out how to detect which hand gesture the user was making. The solution was having it check which of the fingers were extended. This would then trigger a specific animation from the sloth. It was important to have the sloth respond back in an unexpected way that can make you laugh. Even though they are simple responses (like waving), I focused on putting in little ‘delightful’ details in the animations. It’s these small details that I hope will elicit an emotional reaction from the audience. Creating this experience was an amazing introduction to Leap Motion. Playing with Orion beta made me realize just how immersive VR can get with your hands. Moving on, I want to push the interactivity with more gestures if possible and even see how I can incorporate UI/UX elements to it. A big thank you to Sergio, James, Robert, Patty, and Chelley who have helped me along the way!!! 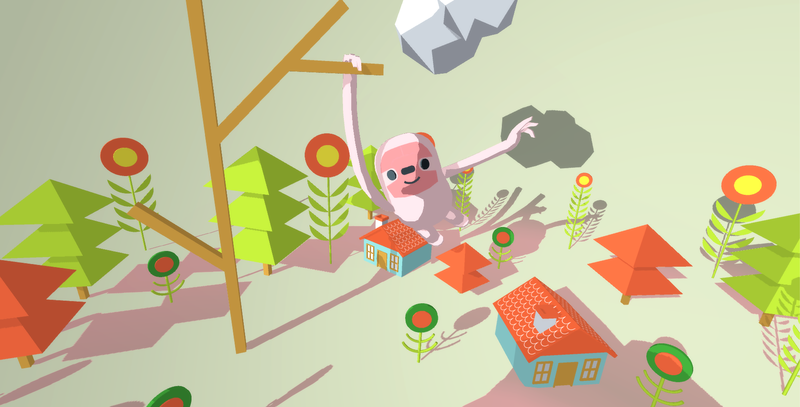 You can now try out my VR sloth piece at Leap Motion’s gallery!